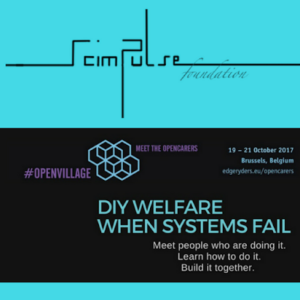 Francis will be facilitating a series of themed sessions at the upcoming OpenVillage Festival in Brussels, Belgium, on October 19-21, 2017. It’s a participant built event dedicated to bringing together existing projects into a demo of a new health and social care system powered by open source, community-driven solutions. 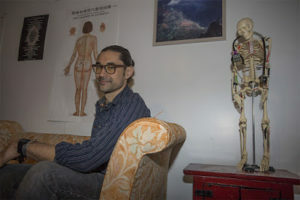 Francis is a medical doctor, and an active member of Woodbine Health Autonomy Resource Center in Ridgewood, New York. Woodbine is a hub for developing the skills, practices, and tools for building communal processes. Together with health professionals and informally trained practitioners hosting workshops and sharing skills within the community. Their radical approach puts health back into the hands of the people with an ambition to share knowledge and create a sense of community care. Health and social care are impaired and most of us don’t have the idea of being part of a community and the concept is foreign to many. So, how can we bring it to the forefront and weave it into everyday care? 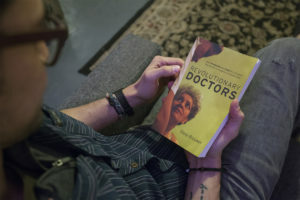 We can’t all become medical doctors, but we can find the balance, discover the needs of the community and realize how we can project and initiate our resources into the future. There are tremendous innovations across health care to improve outcomes and identify disparities. However, OpenCare is the opportunity to turn gems of innovation into sustainable models that can be integrated into the care system making it affordable and accessible for the population that experiences the lowest equity of care. Being healthy can no longer be defined as not being sick, it’s a collective concern. It’s being recognized that to improve health care, engagement within the care sectors needs to improve and systems must be delivered safely, systematically, affordably and reliably. OpenVillage, in connection with OpenCare embraces a more integrated comprehensive approach towards care. All communities deserve the opportunity to reach their greatest health potential.